Going behind the headlines to give the definitive answers to health questions. The team give tips on how to avoid losing your marbles and how to cure cramp. The doctors are back! 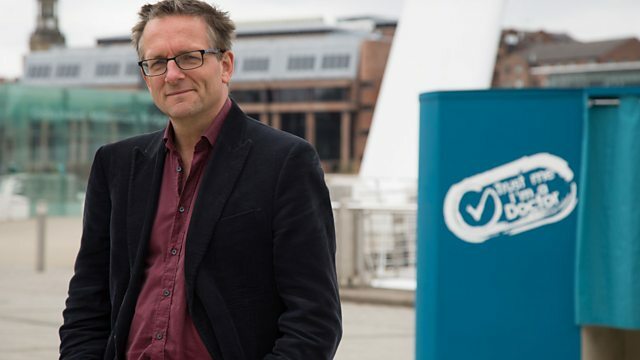 In the first programme of the series, the team bring you the definitive answers to questions including how to avoid losing your marbles and Michael Mosley's tips to cure cramp. Dr Saleyha Ahsan shows how to spot the signs of a deep vein thrombosis, Dr Chris van Tulleken reveals the shocking truth about what is actually in herbal supplements sold in the UK, and surgeon Gabriel Weston travels to the US to witness an astonishing new treatment that could cure crippling back pain for millions of people. Dr Chris van Tulleken finds out what nasties are produced when we when barbeque our meat. How can we keep our minds sharp as we get older? One of the things that worries nearly all of us is the prospect of losing our marbles. How do we really know what we are taking? A way to improve our memory might have been under our noses since ancient times. How can I avoid dementia? What should we do more of, and is there anything we should really avoid? A clinical trial attempts to heal degenerated spinal discs. One in nine of us will develop a DVT during our lifetime. How can I stop getting leg cramps? Ear, nose & throat surgeon Gabriel Weston examines different ways to clean your ears. Can beer make a barbeque more healthy? What's really in herbal supplement pills? Going behind the headlines to give the definitive answers to health questions.